Best Brands, the global benchmark of Brands, enters its 4thyear in Italy. Keynote Speaker of exception at Best Brands in Milan on 14 November will be Andrea Bocelli, who will receive the ‘Innovation Award’. The 2018 Best Brands Italia rankings will be announced at a Ceremony on 14 November at the Rai Studios, during a traditional gala evening, which was attended by more than 400 Italian entrepreneurs last year. Each edition evolves annually, and in Italy alongside the 3 main categories of Best Corporate rand, Best Product Brand and Best Growth Brand, at the 2018 edition the favourite Brands of ‘Golden Agers’ will be revealed. This demographic is particularly relevant in Italy, where 28.3% of the Population is over 60 years old, and represent the highest income bracket. With 5 international editions of the Best Brands event, it has become an indicator of the global perception of brands. Thanks to the inaugural Best Brands Italia in 2015, we know which brands are most loved by Italians. The survey, promoted with a unique methodology by GfK and Serviceplan, now facilitates an evaluation of brand evolution in Italy. This research is now considered as an economic benchmark of primary importance, not only in Italy, but also in Germany where Best Brands began 15 years ago, and more recently in France, Belgium, China and Russia. This innovative classification of brands enables comparison between data collected in various international editions, which makes Best Brands a fundamental tool for measuring the power of Brands at a Global Level. Best Brands is unique in its use of an exclusive algorithm owned by GfK, which classifies brands through combining economic performance data with people’s personal perception of the brand (known as ‘share of soul’). In Italy 4,500 consumers were interviewed about their perception of brands in order to gather data. Best Brands Italia will be an unmissable and exciting opportunity for the Best Brands audience to listen to the testimony of the Maestro, who since the 90’s has been one of the leading protagonists linked to the world of philanthropy. The famous opera singer is undoubtedly one of the most loved Italian voices. In 2011 he decided to return the affection received in his career through the creation of the Andrea Bocelli Foundation having as its mission that of “empowering people and communities". The international recognition of Best Brands is also underlined by the significant patronage of UPA, and of prestigious partners supporting Serviceplan and GfK who created the first German edition in 2004. These partners include; Rai Pubblicità, Il Sole 24 Ore, IGP Decaux and ADC Group. Lorenzo Sassoli de Bianchi, President of UPA, highlights the point of view of big-spending Italian companies in the advertising field committed to defending their brands: "Best Brands and its method focus on the values of the brand and consumers, which is why UPA also confirms its patronage for the fourth edition, and this year's special categories will analyze the ‘Golden Agers’ in line with the latest trends. In the context of marketing and communication, we are dealing with an upside-down society in which younger targets are undersized compared to older ones, but the latter reveal behavioral profiles that are far from obvious and extremely interesting for positioning. Brands: advertising communication as a privileged way to build the brand and its growth dynamics has always been the focus of our members' attention and of the association's UPA action, so we will evaluate the results of the research with interest ". Giovanni Ghelardi, CEO of Serviceplan Group Italia, expands on this aspect: "The appreciation of the market and of the partners confirms that Best Brands has now become a reference point for brand communication in Italy and in the world, thanks to the capacity of understanding if the brand has managed to establish not only an economic, but also an emotional relationshop with the customer. We can not be less than profoundly satisfied ". 2019 is off to an incredible start for Spittn Image. 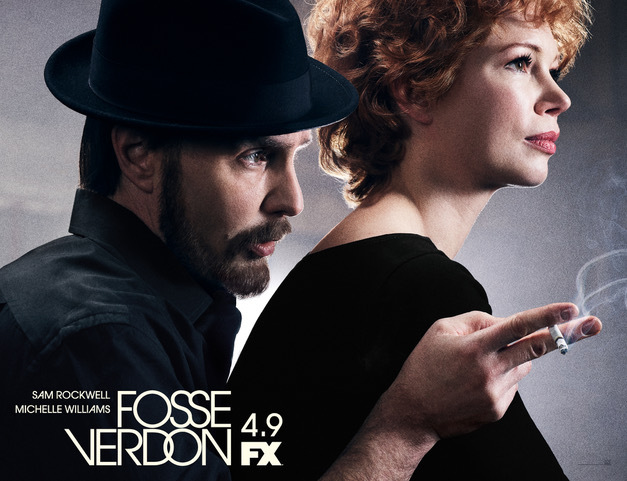 Under the leadership of Executive/Creative Producer Melissa Ciampa, the multifaceted production company recently collaborated on the print campaign for the much-anticipated FX Networks’ limited series “Fosse/Verdon.” Featuring the story of legendary choreographer Bob Fosse and dancer-collaborator Gwen Verdon, the series stars Sam Rockwell and Michelle Williams. With this project, Spittn Image continues to amaze by cultivating striking and evocative photography that better enables a series to stand out in an increasingly saturated media environment. Spittn Image Creative Director/Shawnette Heard also won an “Award of Merit” in the Best Shorts Competition for her newest short film “The Witching Hour.” Directed by Heard, the short is currently on the festival circuit. Spittn Image was founded by Executive/Creative Producer Melissa Ciampa and is co-headed by Creative Director/Director Shawnette Heard. Experts in producing truly integrated campaigns and shooting branded content projects for a variety of clients, Spittn Image is oftentimes called on to complete the theatrical, broadcast and print components of a launching campaign. The Spittn Image team finds and partners with reputable Directors and Still Photographers in the execution of films and music videos, as well as emerging and established music artists from all walks of life, choosing the right talent for each project. We align our passion for the arts with a commitment to giving back to the community, with a series of projects under the Spittn Image umbrella embedded with a strong social cause.